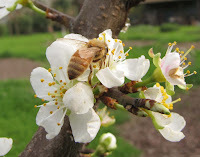 Honey is a highly concentrated sugar solution. Honey contains more than 70% sugars and less than 20% water. 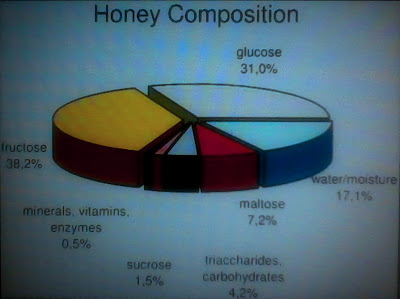 There is much sugar in honey relative to the water content. This means that the water in honey contains an extra amount of sugar than it could naturally hold. The overabundance of sugar makes honey unstable. Crystallization of honey is little understood by the consuming public. Many assume that honey appears crystallized to be an adulterated or unnatural product. That is not so. Actually, crystallization process is natural and spontaneous. Most pure raw or unheated honey has a natural tendency to crystallize over time. Crystallization does not affect the honey except for colour and texture. Crystallized honey is not spoiled and preserves the flavour and quality characteristics of the liquid honey. Some honey users like it in this state since it is easy to spread on bread or toast without dripping off and the taste is richer. Bear in mind that crystallization of honey has no bearing on its quality, but it is an attribute of pure and natural honey.